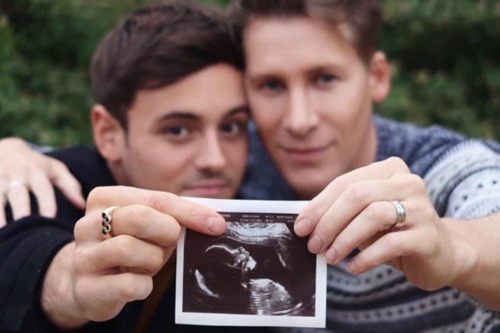 Dustin Lance Black is firing back at Twitter trolls criticizing his decision to have a child with his husband, Olympic swimmer Tom Daley. The two have been subjected to non-stop attacks online by trolls and the religious right. Many took issue with the fathers-to-be’s decision to have a child with a surrogate mother instead of adopting. Anti-transgender activist Julie Bindel, for example, repeated a common criticism. While Black had responded back to the online hate with a simple message to the trolls spouting abuse about his family, he held back until now when he responded to Twitter user “LadyJoanne” with a teachable moment.